LA CORNE, LOUIS (Jean-Louis, Pierre, Louis-Luc, Louis-François) DE, known as the Chevalier de La Corne, officer in the colonial regular troops; b. 6 June 1703 at Fort Frontenac (Kingston, Ont.) (he received the public ceremonies of baptism in Montreal on 21 June 1704), son of Jean-Louis de La Corne* de Chaptes and Marie Pécaudy de Contrecœur; d. 15 Nov. 1761 in the sinking of the Auguste. La Corne entered the colonial regulars and was appointed second ensign in 1722 and full ensign in 1727. On 21 Jan. 1728 he married Marie-Anne Hubert de Lacroix. During his first three years of marriage La Corne showed an inclination for commerce, advancing more than 21,500 livres to traders travelling to Detroit, to the Lake Michigan area, and to Louisiana. 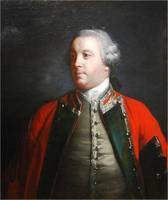 In 1731 he was directing his fur-trading interests from his Montreal home on Rue Saint-Paul, and serving as assistant garrison adjutant. He was not yet 30 years of age. La Corne became lieutenant in 1738 and was promoted captain six years later. 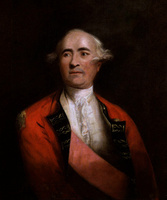 His first combat experience was in Acadia in February 1747 when he served as second in command of a party of some 300 Canadians and Indians led in a winter attack by Nicolas-Antoine Coulon de Villiers against Colonel Arthur Noble and 500 men in Grand Pré. 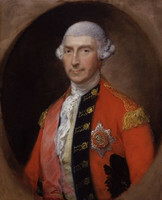 Villiers was wounded almost immediately, but under La Corne’s leadership Colonel Noble and a large number of the enemy were killed, wounded, or taken prisoner. La Corne’s part in this action won him the cross of Saint-Louis, awarded in May 1749. In the meantime he had returned to Montreal. On 15 June 1747 the governor of Montreal, Josué Dubois Berthelot de Beaucours, gave him command of a detachment being sent to intercept an Indian raiding party said to be in the area. A group of Mohawks, Senecas, and Oneidas, along with some English and Dutch companions, was ambushed at the Cascades (near Île des Cascades, Que.) by a force under Jacques Legardeur de Saint-Pierre which La Corne had posted to watch the river during the night. The Mohawk leader, Theyanoguin, escaped, but Karaghtadie and some other warriors were captured by Saint-Pierre’s men and La Corne’s party, which rushed to the scene. 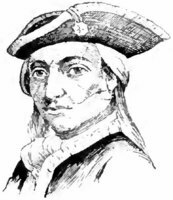 In mid-October 1749 La Corne left for French Acadia to take oaths of allegiance from the habitants coming to reside in French territory; he was also to organize militia companies and fortifications at Chipoudy (Shepody, N.B. ), Memramcook, and Petitcodiac (near Hillsborough). La Corne arrived in November, and began strengthening the Beauséjour area (near Sackville) while Jean-Louis Le Loutre* endeavoured to persuade French Acadians to move under La Corne’s protection west of the Missaguash River, the accepted temporary boundary. In April 1750 Major Charles Lawrence appeared before Beaubassin (near Amherst, N.S. ), which Le Loutre and his Indian allies had burned to the ground. In the face of La Corne’s firmness Lawrence had little alternative but to withdraw. He returned again in September with a larger force and began to dig in east of the Missaguash River while La Corne watched from the west bank. La Corne maintained this deliberate stalemate for a month before he was recalled from Acadia and replaced by Pierre-Roch de Saint-Ours Deschaillons. 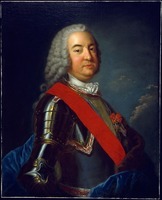 In 1752, probably, La Corne was appointed to a three-year term as commandant of the poste de l’Ouest, succeeding Jacques Legardeur de Saint-Pierre. He engaged 57 men for the west before setting out in June 1753, leaving his younger brother Luc de La Corne*, known as La Corne Saint-Luc, to hire the other men needed. On 7 August he was briefed on the west by Saint-Pierre at Les Petites Écores to the north of Lake Superior. During his term in the west La Corne improved Fort Paskoya (Le Pas, Man.). He travelled farther west than his predecessors, built Fort Saint-Louis (Fort-à-la-Corne, Sask.) near the forks of the Saskatchewan River, seeded several acres of grain, and explored the Carotte (Carrot) River valley. Anthony Henday records meetings with French traders in this area but identification is difficult. In July 1755 La Corne was back in the colony at the head of a party of 500 men harassing the British at the portage between Lake Champlain and Lac Saint-Sacrement (Lake George). For the next five years he led a mobile patrol varying between 1,000 and 2,000 men along the Montreal to Lake Ontario waterway. 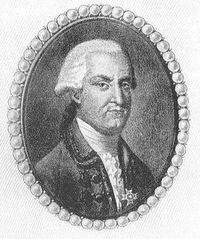 In 1757 Governor Rigaud* de Vaudreuil suggested that the position of battalion commander of the colonial regular troops, with the same rank, honours, and salary as army battalion commanders in France, be created and awarded to La Corne, but nothing came of this proposal. By 1759 the British pincer movement was well under way from east and west. In June La Corne was given the important assignment of dislodging the British force under Colonel Frederick Haldimand* which had just begun to fortify Oswego (Chouaguen). He surprised it but did not follow up his advantage strongly, and his lack of success helped to open the St Lawrence for the British; there was now only La Présentation (Oswegatchie, now Ogdensburg, N.Y.) between the enemy and Montreal. In April 1760 La Corne was wounded while leading a battalion of troops in Lévis*’s offensive at the battle of Sainte-Foy. Four months later he was on the St Lawrence observing the advance of Jeffery Amherst* down the river; when Fort Lévis on Île aux Galops (east of Prescott, Ont.) fell in August La Corne had to retreat toward the Cèdres rapids. Surrender of the colony was now only a matter of time. On 8 Sept. 1760 Montreal capitulated. La Corne decided to leave for France. He sailed from Quebec on 15 Oct. 1761, but drowned with three of his relatives when the Auguste sank the following month off the coast of Cape Breton. Louis’s branch of the La Corne family came to an end with the death of his wife at Repentigny (Que.) 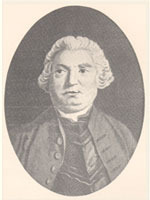 in 1768 at the age of 91. AN, Col., D2C, 222/1, p.165 (PAC transcript); E, 242, 243; Marine, C7 175. ANQ-M, Greffe de C.-R. Gaudron de Chevremont, 3 avril 1733; Greffe de Michel Lepailleur, 17 janv. 1728; Greffe de J.-C. Raimbault, 2, 17 sept. 1728, 31 juill. 1730, 31 mars, 14 juin 1731; Registre d’état civil, Notre-Dame de Montréal, 21 juin 1704. La Corne’s precise movements between 1755 and 1760 may be found in Collection des manuscrits du maréchal de Lévis (Casgrain), I, II, V, VI, VII, VIII, X, XI. See also: “Les ‘Mémoires’ du chevalier de La Pause,” APQ Rapport, 1932–33, 333–38, 373–91. Fauteux, Les chevaliers de Saint-Louis, 148–49. Le Jeune, Dictionnaire. Tanguay, Dictionnaire. Champagne, Les La Vérendrye, passim. J.-N. Fauteux, Essai sur l’industrie, II, 301–4. 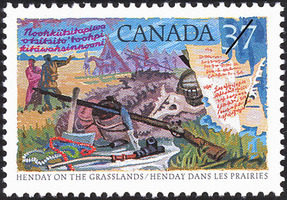 Frégault, Canada: the war of the conquest, 167–68, 170–71, 258–59. Gosselin, L’Église du Canada jusqu’à la conquête, III, 118–20, 179–80, 504–5. Stanley, New France. 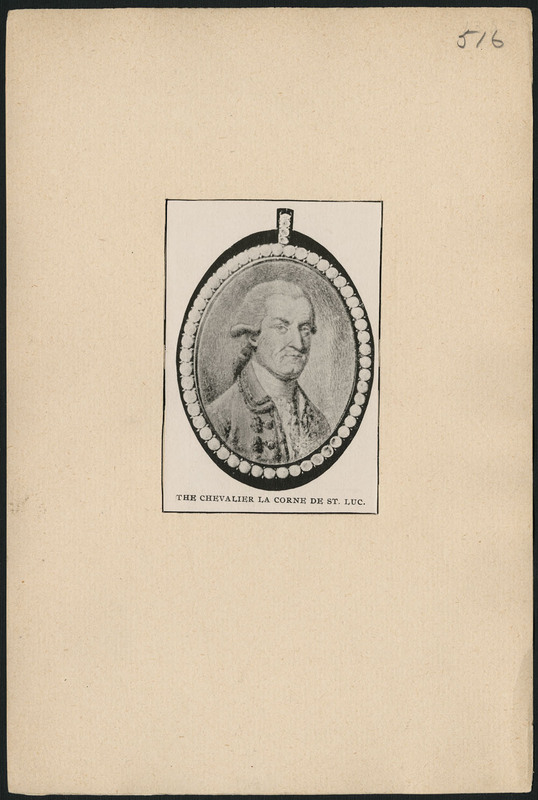 C. J. Russ, “LA CORNE, LOUIS DE, Chevalier de La Corne,” in Dictionary of Canadian Biography, vol. 3, University of Toronto/Université Laval, 2003–, accessed April 22, 2019, http://www.biographi.ca/en/bio/la_corne_louis_de_3E.html.